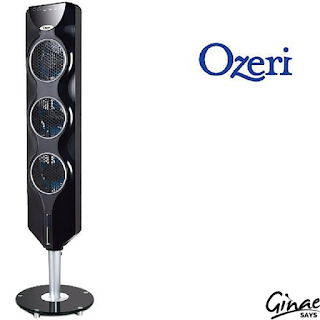 The box in which this Ozeri 3x Tower Fan ships is of course, a big one. However, the fan arrives in two pieces and only took a few minutes to assemble. This is a real sturdy unit! It's quiet too. We plugged it in and began playing with the remote control. It was amazing how quickly the fan responded to the remote. This unit features 3 independently controllable fans, 3 fan speeds, 9 levels of cooling and a truly customized airflow. We have never come across a fan like this before. It has a 7.5 hour timer on it, which may be programmed to function in 30 minute intervals. Amazing! We set the fan in a corner as it is certain that the cats could lead to its downfall, if not demise. Their chase games and torrential curiosity is something to be prepared for with any new item. But, so far, so good! 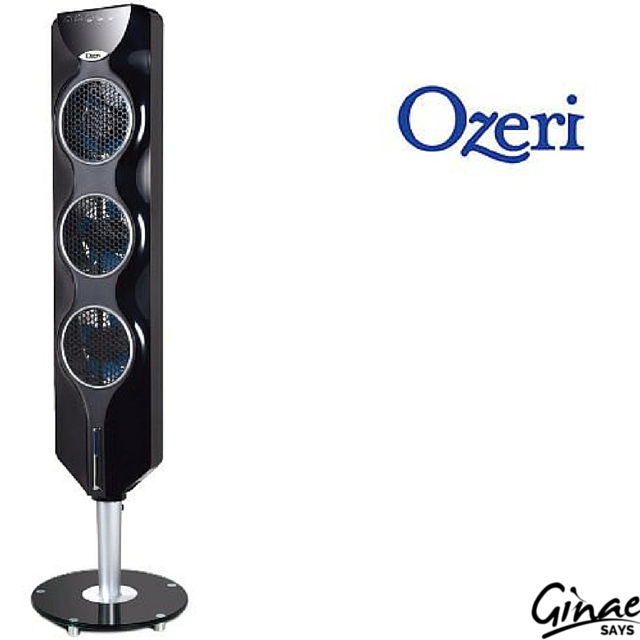 This Ozeri fan lists for $129.95. But, it currently sells for $99.95. On Amazon.